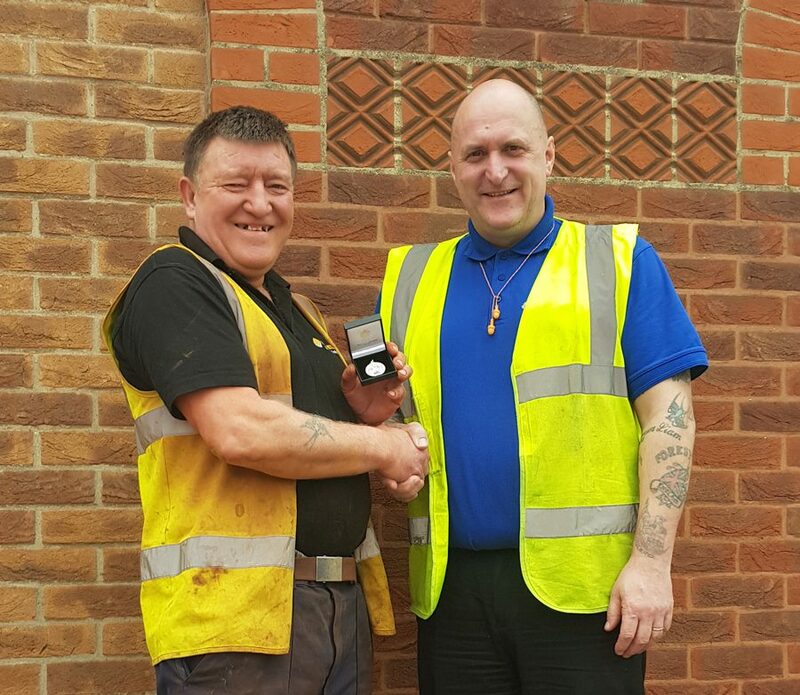 Philip Griffin (left) being rewarded with long service medal award by Lee Allen, Works Manager (right). Michelmersh would like to congratulate Philip Griffin for his 40 years of service at our Charnwood site, working in numerous positions including brick moulding and clay prep. The team at Michelmersh really appreciate the dedication and loyalty of its long-standing staff members and would like to thank Philip sincerely for all his efforts in reaching this 40-year accolade. We are thrilled to continue to be working alongside Philip who is an extremely valued member of our team.